Our stuntbike project on Kawasaki ZX636. Full preparation and detailed description of each setup and modification. 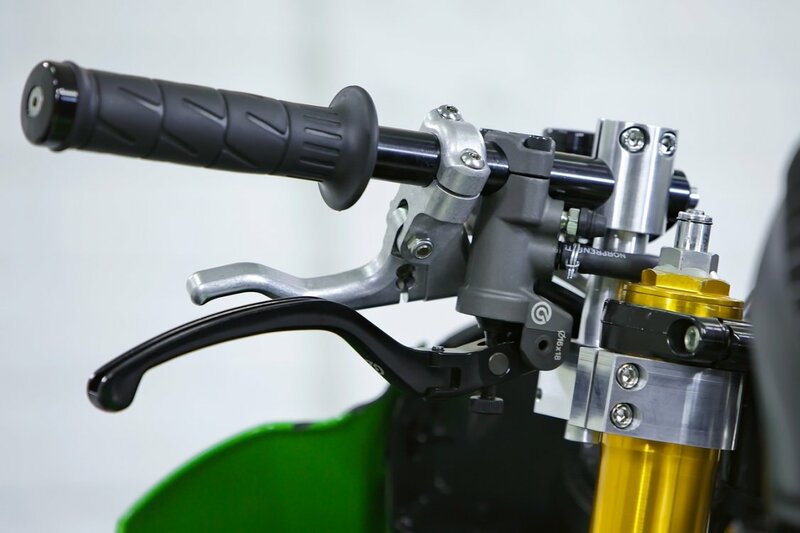 One of Alexander Andreev's students asked us to prepare a motorcycle based on Kawasaki zx6r 03-04 for training, which he could use to get to the riding area by himself (it was required to save plastic and lights). 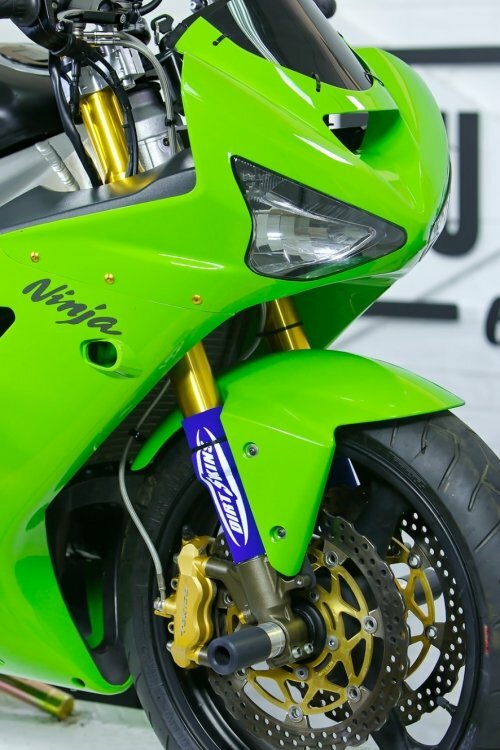 Zx6r 03-04 is the most popular bike in the sport thanks to a powerful, reliable engine with a smooth load, good steering and spare parts availability. Nevertheless, the bike is old and equipped with a cheap fork, weak brakes and a fragile frame. 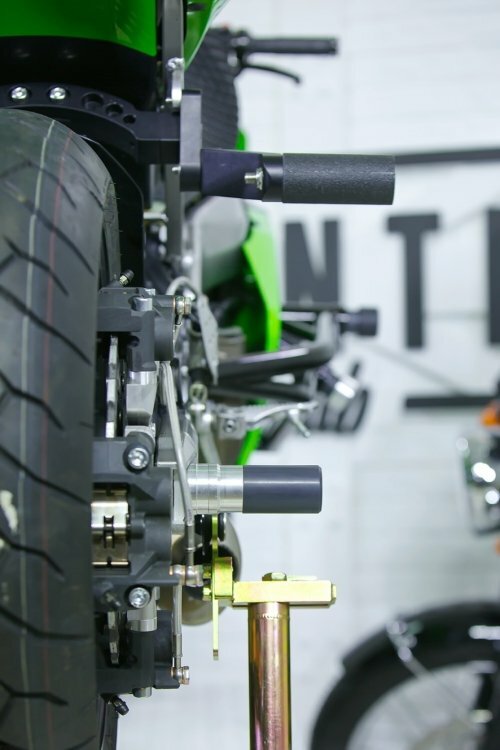 Preparing such a motorcycle is a time consuming and expensive event, but in the end you can get a great stuntbike! The experience of professional riders shows that the engine lives in stock for the longest time in training mode. Many do not even change oil. Therefore, we didn't do anything with the engine. 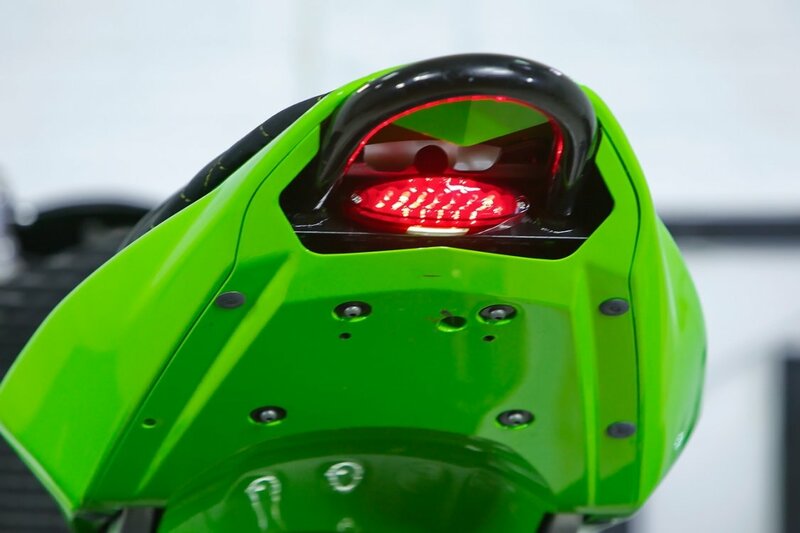 The motorcycle is equipped with a stuntex maDDog cage made of cold-drawn seamless structural steel with a unique symmetric geometry. The cage has two sliders on each side with polyurethane damping elements. 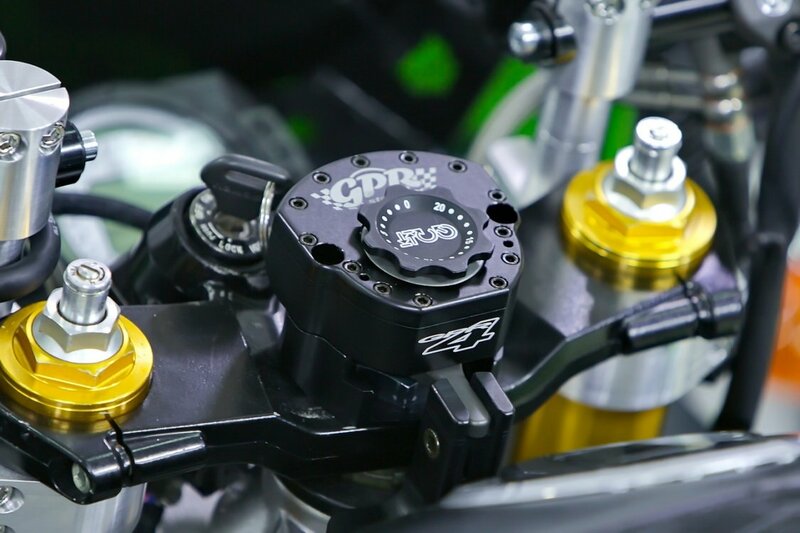 For unloading the front engine mounts, which are very weak on the zx6r 03-04, brackets are provided. This solution is an alternative to the steel frame, which is much harder and more expensive. Installing the cage with plastic preservation takes some time, so watch the video down below to avoid any mistakes. 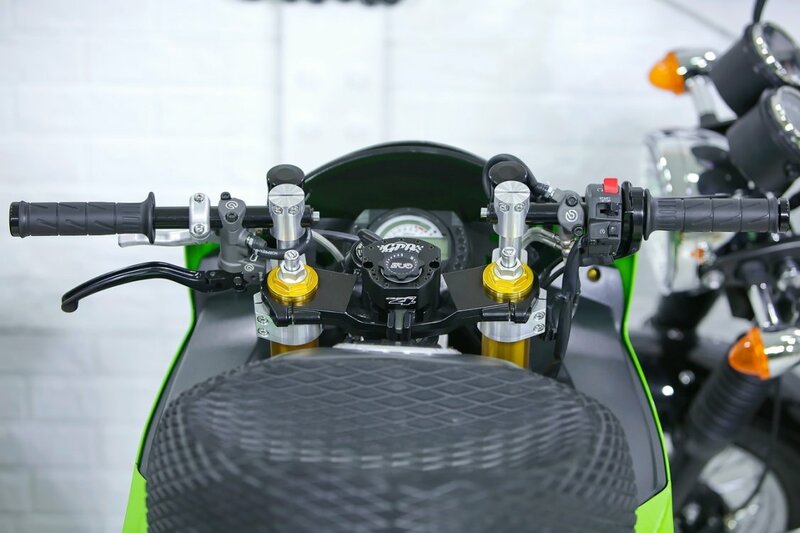 The bike is equipped with a handbrake with two radial 4-piston calipers, a 16 mm brembo machine and an extended brake disc. 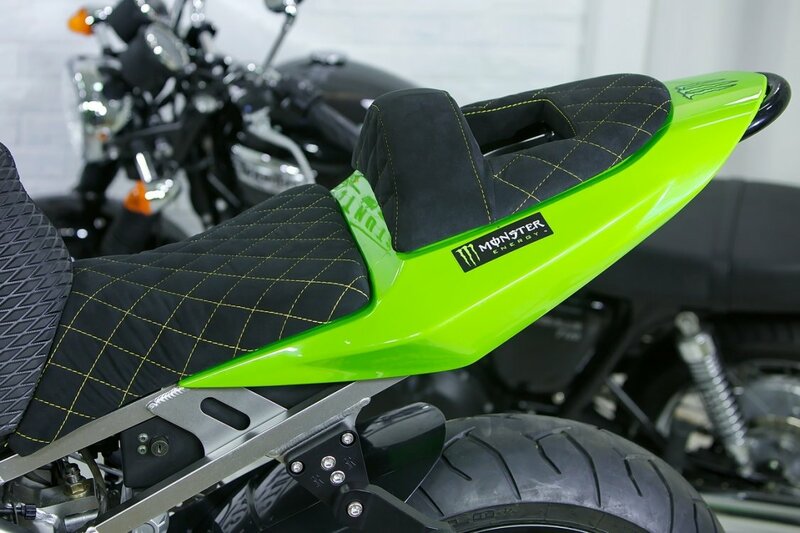 This scheme provides a good sensitivity of the doubler and easy braking. In combination with a doubler there is a classic easy clutch release machine. 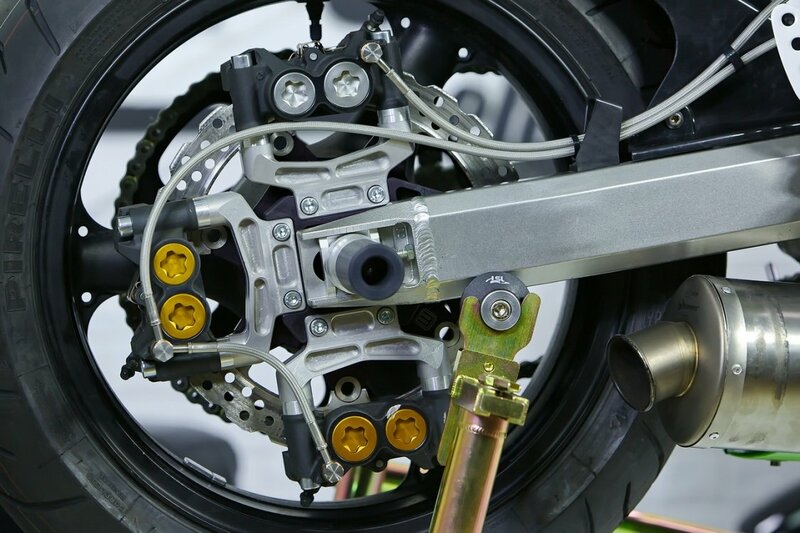 Due to the peculiarity of the bracket, we had to change the caliper on the foot brake. 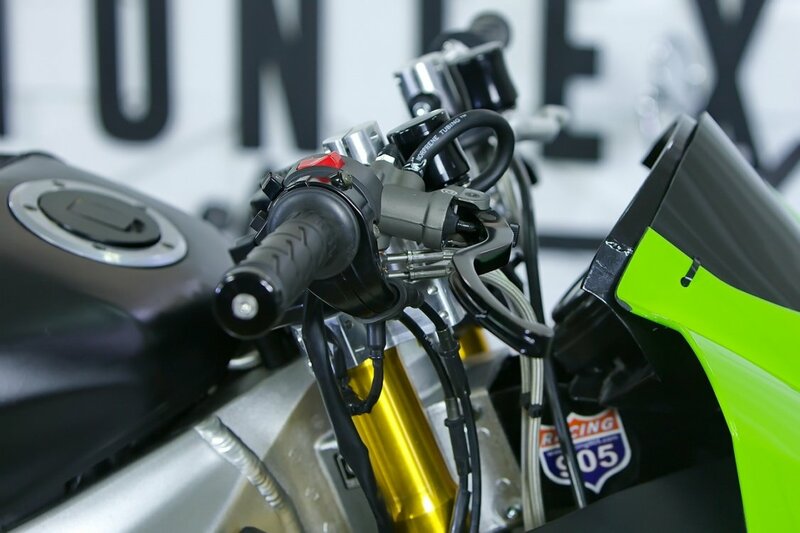 The motorcycle is equipped with adjustable clip-ons with thick-walled elongated LSL tubes, which allow you to simulate any configuration of the handlebar, as well as simplify the laying and adjustment of cables. All the tips of the tubes have minimalistic handlebar weights LSL Flat Caps. Gas wire had to be laid under the airbox. 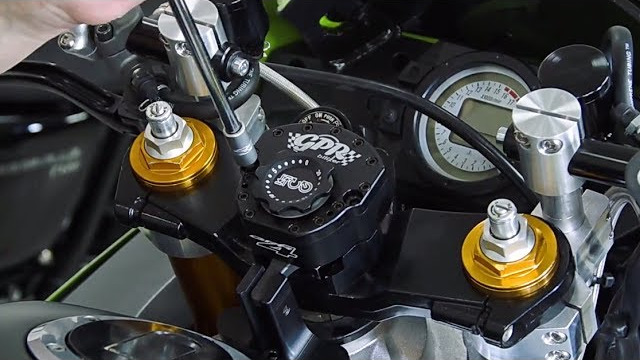 Thanks to the clip-ons, it was easy to install a compact GPR V4 rotary damper. ABM brake tanks are perfectly hidden behind the clip-ons racks due to the plastic mounting. 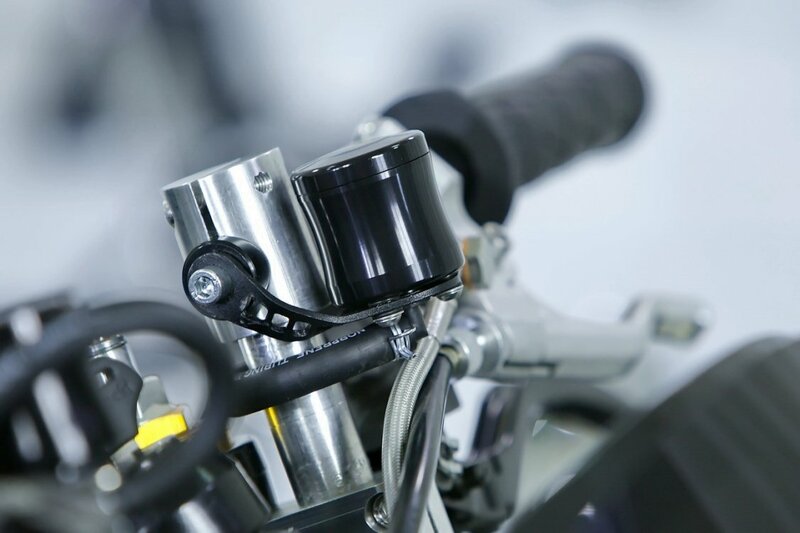 With the help of the spacer from the LSL handlebar weights, it is easy to install barrels into the clip-on tube. The left remote fits perfectly on the edge of the cage! Stock fork Kayaba was replaced for a better one Showa from zx6r 05-06. This required the replacement of brake discs from zx6r 05-06. 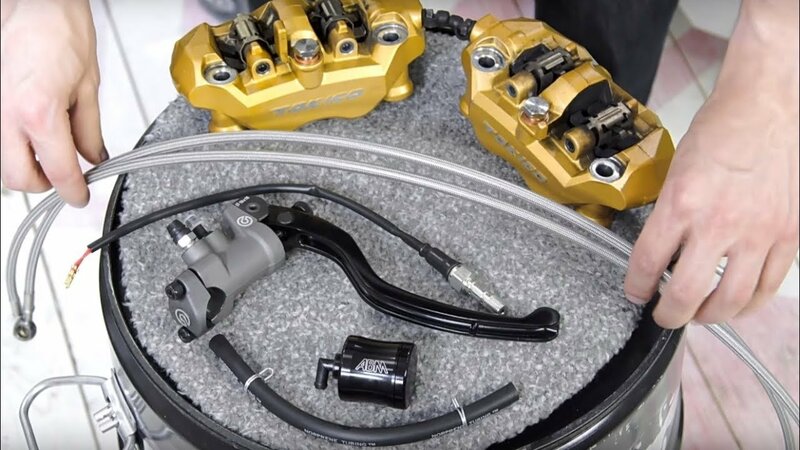 For a full upgrade of the front brakes, reinforced hoses and 19 mm master cylinder Brembo were installed. For the stop signal to work, it was necessary to install a double banjo bolt with a sensor. 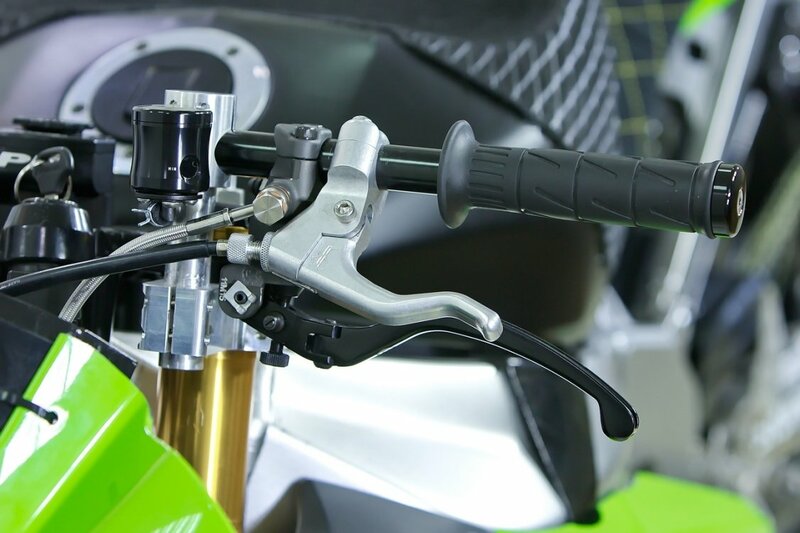 Replacing the fork requires replacing the front wing, but you can save stock on homemade mounts. Fork legs are protected by Dirt Skinz sleeves. 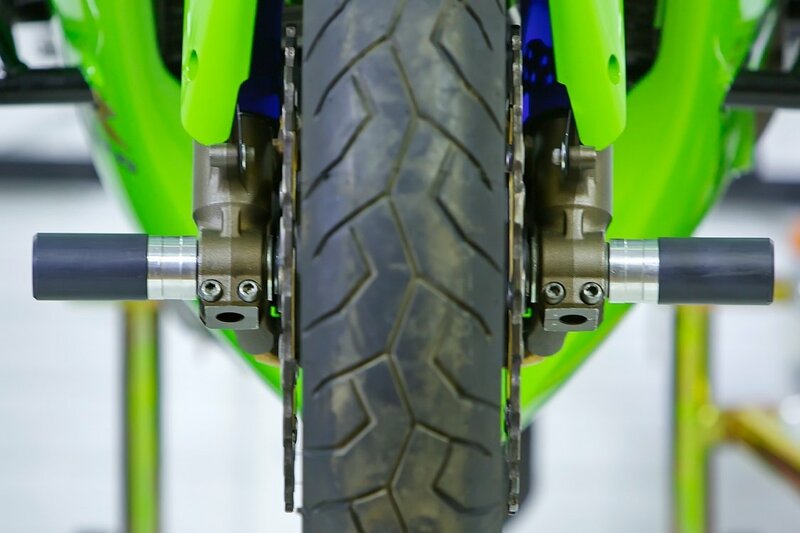 During trainings, the fork is compressed for the entire stroke, and the wear of the oil seals increases significantly. 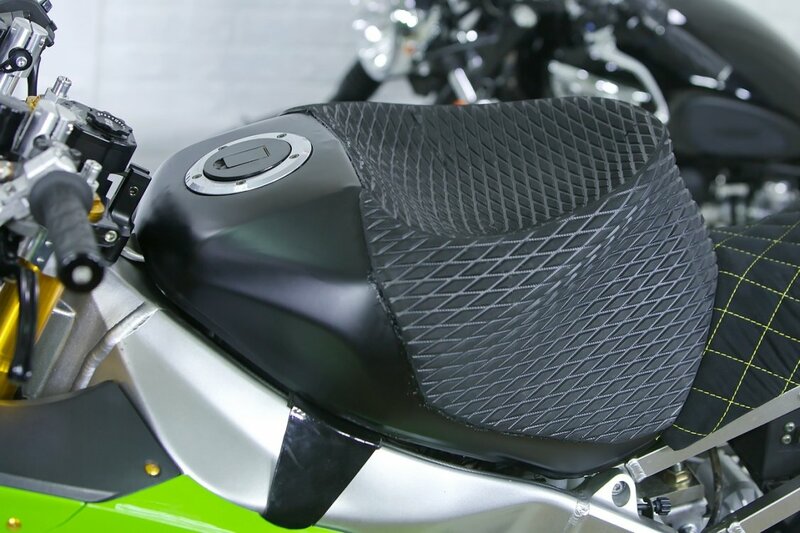 Neoprene sleeves prevent the mirror from dust and water, which significantly extends the life of the oil seals. 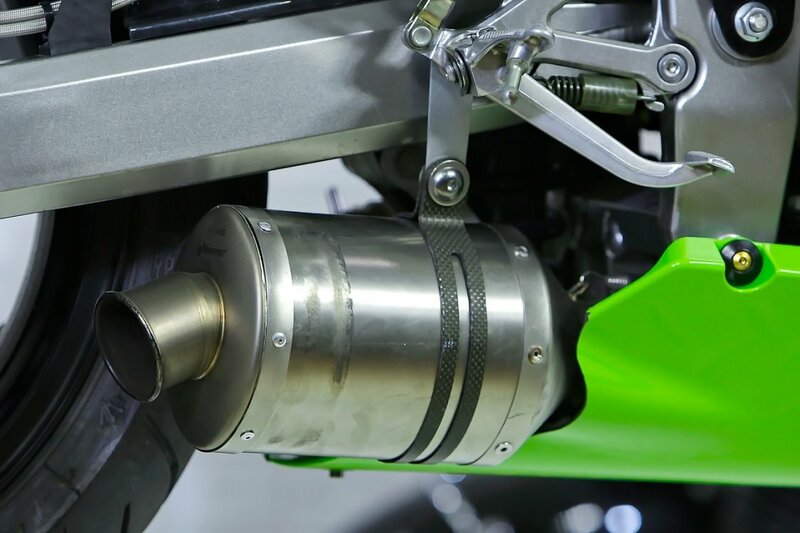 Shortening and installing a muffler for the pendulum is the best solution where it does not interfere and is well protected. To fasten the muffler to the footpeg bracket, we needed to unscrew the footpeg mounting bolt. This can be done by heating it with a torch - in this case the thread lock is destroyed. The motorcycle owner wanted to leave the plastic and the headlamp, which required the installation of a steel spider. The spider had to be shortened for free placement of the clip-ons. The visor is attached to the screeds that will burst under load without breaking the plastic. In the front and rear wheels we installed powerful Stunx footpegs on the aluminum runways. 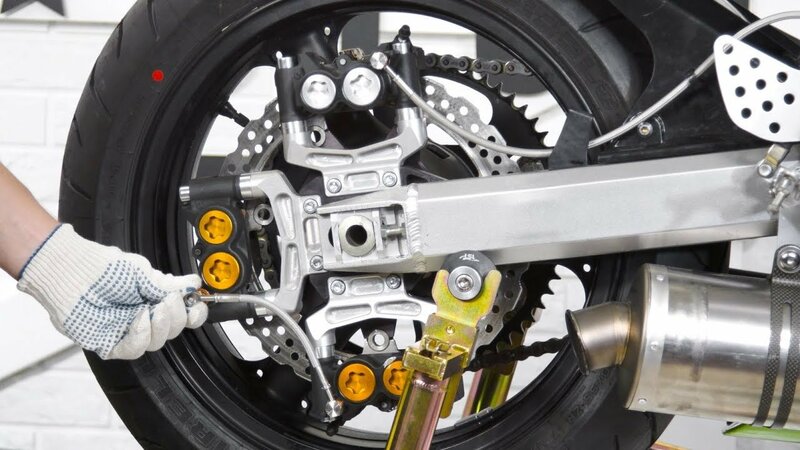 Thanks to the aluminum podiums and durable axle, the pegs do not bend. The rear right peg is slightly longer to protect the muffler. 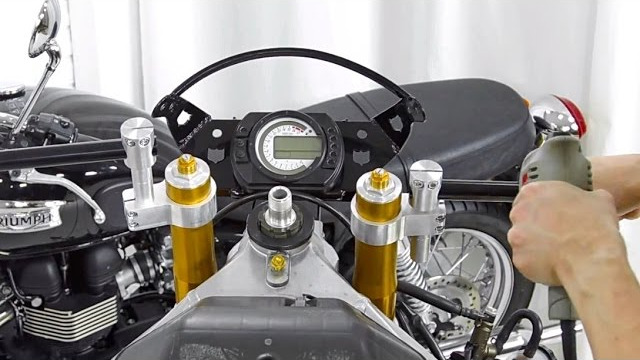 At the end of the subframe there is a minimalistic round bar with a stop signal to ride in the city. There is also an aluminum RS subcage with adjustable paws. 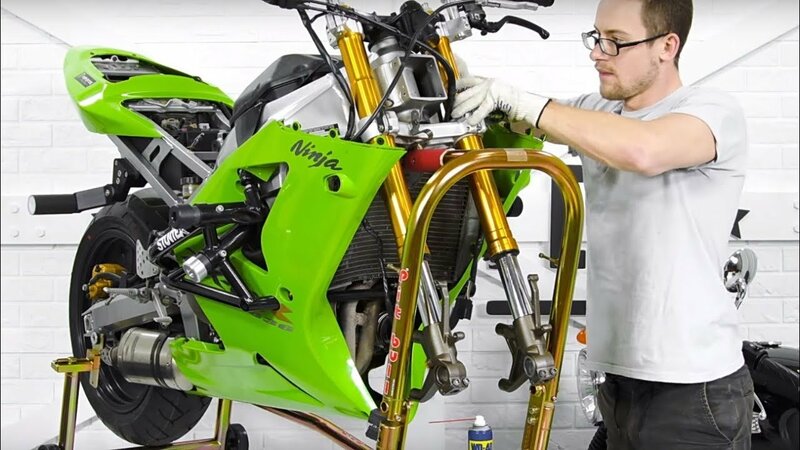 The stock subframe is strong enough to withstand many hits, so most riders do not reinforce it. In the back seat there is a hole for the foot. The tank has an overhand and a recess, the filler is brought forward. 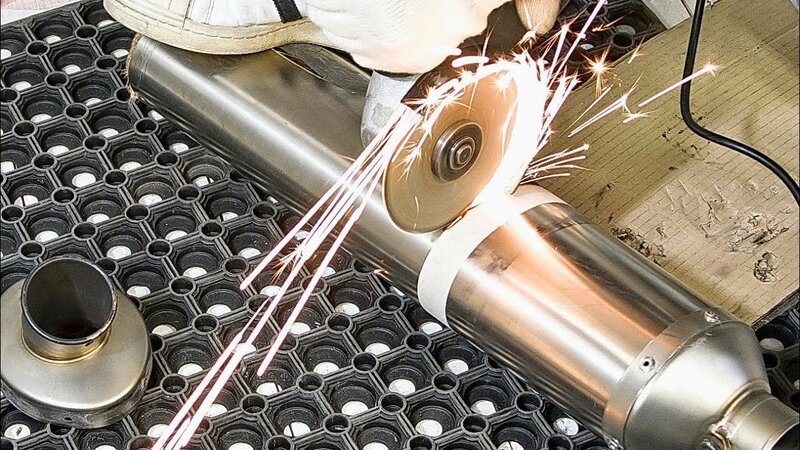 The working part of the tank is covered with a material that has good traction. A classic kit is installed with a 60-tooth-driven Pit Bull sprocket on 520th chain. The process of preparing the bike you can watch on the video down below. We will try to tell about all the important moments and difficulties that have come up!